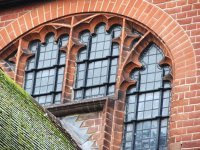 St Paul's Church, Camberley UK: Facebook - How Did We Do It ? Facebook - How Did We Do It ? St Paul's Church, Camberley launched it's Facebook page on Sunday 8 June 2008, as part of our church mission, "living Christ in Camberley". We are experimenting with ways of interacting with the online community, drawing members of St Paul's closer together, and reaching out to our friends and to the wider local community. Facebook has been an exciting project, and the team have met regularly to discuss new ideas which keep popping up, to allow us to keep the page interesting and fresh. We currently have 119 Facebook fans on our page, and see Facebook as an important part of our online outreach programme. We hope this article helps you with launching your Facebook page, and welcome your experience, comments and feedback. 1. Why bother with Facebook ? If you want to outreach and evangelise, the best place to do it, is where all the people are. We were careful not to create a Facebook account for the Church, but rather use our own accounts, and consider creating a group or a page. This is an important point, since creating an account for a company or organisation contravenes Facebook policy, and they have and will shutdown any such accounts. An early decision we made was to opt for a page, rather than a group. Various pros and cons to each (see How are Pages different than Facebook Groups?). A page allows more feature rich content, and appears more professional for an organisation, and allows anonymity for administrators. One advantage of a group over a page, is the ability for a group to send messages to inboxes. A page can only send updates, and these don't appear in inboxes, and in practise aren't seen by fans of the page. Our major requirement was to allow everyone (even those without Facebook accounts) to see our activity. Only then would we have a true outreach site. If your congregation are not too familiar with Web 2.0 and social networking technologies like Facebook, MySpace, Orkut etc..., then they may be a little concerned about what information is put on your Church Facebook site. This is true even if they haven't got a computer. We took the decision for example to publish our weekly notices. These have contact details for many of our Church members, and personal information such as births and illnesses. We took the decision to publish this information to everyone, because we feel it is important to be open, to encourage Church outreach. None-the-less, we had to ensure the Church members were all aware the notices are published online. Children is another important topic to consider, especially whether to publish photos or videos online. - Don't leave your Church behind when entering the Facebook Century. This type of technology can be quite intimidating, and confusing to use, for those not too familiar with computers. Others may not see a need, where you do. We recommend you run sessions after your services to allow people to raise their concerns, and announce what you propose to do. This will help people on their journey. - Traditionally, a Webmaster was the single point of failure for information getting online. One can't expect a single person to put all the information about a Church online by themselves. This just leads to out-of-date webpages, frustrated Church members, and disillusioned webmasters. Facebook changes all that. It allows anyone to post information of different types, without the bottleneck of a single person. Of course, Facebook allows you to grant certain permissions to everyone, or to administrators, so it is up to you how you configure these. Similarly, you can choose how many administrators you have. - Keep the content fresh. This means the page must have new information on it at least once a week. Without that, people will fail to check it, and fail to use it, and it may as well not exist. Put your events online. Use rich media like photos and videos to brighten up the page. Add photo albums, and tag members. One might think the Facebook demographics would be male aged 13-24. In fact, the majority of our fans at St Paul's are female aged 45 and over. A page allows administrators to view insights. These insights show statistics like fan demographics and page views. Very useful - know your fans. Security is an important consideration when setting up a page. Most potential fans of the page will have concerns that will need to be addressed upfront regarding who may be published on the page. For example, will you be publishing photos of adults or children? Equally important is the security of individuals you may be encouraging to setup Facebook accounts to become fans of your page. We initially had a core group of about 20 people who were already Facebook users before we launched. After our launch campaign in Church (where we demonstrated the site, and held sessions in getting started with Facebook), this rapidly grew. People needed sound advise on just what type of information, and how much of it, they should put on Facebook, when setting up their accounts. For this reason, we recommend you develop a security policy. By reading our policy, you will get some ideas of the things to watch out for, and what you may or may not consider allowing on your page. We made our policy public, and keep a copy in the Church office. We consulted with our children's groups and other members of our Church when devising it. 5. Is each section used (discussion groups, notes, events) ? No, in practise, most people will only ever look at your default tab (in our case, the Wall). So your events, contact information and wall posts will be what most fans see. Discussions did have a place in the old Facebook layout, but in our opinion, the "Wall" has largely replaced that need. Comments can now be posted on the wall about specific items, and in this way, discussions had. People will not generally select the Discussions tab in our experience. Since Facebook launched their 'new look' a few months ago, there is less flexibility on the page layout. Our church logo, along with our mission statement appears on the left hand side of the page, along with other information like the number of fans we have, and the events we are publicising. Each service has an event, to publicise it, and notify people of when it is, and what subject the sermon will be on. Events have to be created by administrators, so worthwhile to have several administrators to avoid a bottleneck. We also like to encourage people to engage with the page by posting on the "Wall" (Facebook is a two way street, and a great way to hear from the congregation, or other people passing through). In practise, this is a slow process, and we hope that the various Church groups will start to be encouraged to start using the wall to post information. Anyone has the privilege to do so, not just administrators. When logged in as an administrator, the "What's on your mind?" field will appear. This is the same idea as on your own account. However, it gives a good opportunity to put in a message for everyone to read. This will appear on fans pages, when they check their profile, in the same way an individuals status message would. Pages now have several tabs, with different information appearing in each one. Currently the tabs we have at St Paul's are Wall, Info, Discussions, Events, Boxes, Photos, Video, Notes and Bible. The tabs vary depending on the applications installed on the page (more later on applications). We have set our default tab to "Wall". You may decide on what applications you would like to add. Applications are what makes pages much more useful than groups, but not quite as useful as your own account. Applications add value to your page (but be careful, they also can compromise security). Not all applications support pages. When you try and add an application to a page, it will advise if it supports pages. By default, applications are displayed in the box tab on the page. So for example, we have a "Daily Bible Scripture", and "Blogg RSS Feed Reader" application. The RSS Feed Reader allows use to aggregate several RSS feeds into one, and display on the page. So for example, when our Church notices, or weekly sermon podcast are published, they automatically should get published to the Facebook page. In theory, a neat idea. Unfortunately, this feed is no longer automatic (due to some modifications Facebook did I believe). This means we have to manually update the feed (in practise a click of a button) when I want it to refresh. Not ideal, but still worth while.